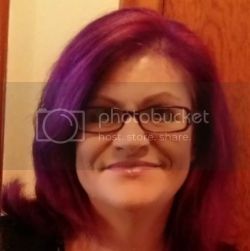 I want to thank Rae from Caffeinated Diva Diaries for helping to fix my blog over the weekend, I still have some work to do on it but she was able to fix the template so that it no longer had layers... I was unable to delete the first one and I kept trying to cover it but it was just a mess. She is also going to make me a button, which I am so excited about. I am not a techy, so it's awesome that someone would do that for me, then I can learn to trade buttons with other bloggers. I would also like to figure out how to link up for blog hops. One step at a time. Although I have been blogging for over three years, I have really only been blogging regularly for a little over eight months. I have come along slowly but learning at each new curve. I am grateful for each and every blogger that follows me as well as all my readers. I know what an effort it can be to follow a number of blogs, I know because I follow 75-80 blogs now; sometimes I think I have to cut back but there isn't any that I want to give up. I have made it a little bit easier by having a number of my blogs emailed to me... I am able to read them throughout the day so that when I get home I just have to pull them up and comment. I know that I have gone off track with my positivity... life throws us many curves and sometimes I don't handle them as well as I could. I am the kind of girl who digs my heels in and says I cannot change but than I am also the kind of girl who thinks about it and comes around. I just have to have my day here and there where I can be sad, where I can cry, where I can just let my emotions out. As difficult as that can be, this blog is my only true outlet anymore. I really miss having someone I can just tell everything to, someone who really cares and understands. Truthfully I need someone who won't judge me for how I have dealt with my life issues in the past. Most people judge me and I find that so odd since I don't judge other people. David was that person for me but that has changed and I understand, even though it is so hard to lose that... besides he has so much going on with his son Chris, as well as an operation that he himself has to have and his job which although he loves his career, it can be stressful. I have to learn to deal with this myself... I just need to take a deep breath. I can do this right? 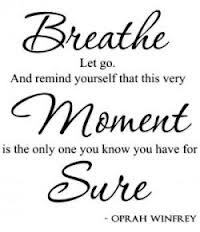 "James Cash Penney"If I just breathe, every little piece of me, you'll see, everything is alright, if I just...breathe. I am glad you fixed your blog Launa. 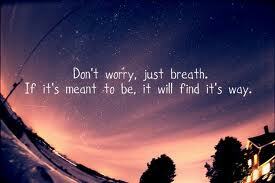 And I am sure you'll find what you're looking for, just have patience and ...breath deeply :). I am sure your friend David will be fine...regarding his operation. Thank you Petronela, I am not so sure I will find what I'm looking for, it's not me who's lost... I am breathing deeply, I really appreciate your comment:). Thank you Suzanne, I really like the look of my blog too, it's so pretty. I have to fix up some of the fonts and font color. 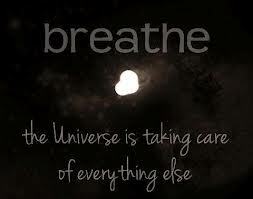 I do need to learn to breathe more:). We all have days when we are sad and need to kind of recoup and take a break from things. I think that is just normal. Hope you have a good day today. I've been in that situation where I've lost someone in my life who I felt most comfortable with to talk to and to open up with without being judged. It's a little sad thinking about what I lost when he left my life. 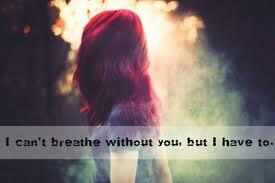 But then I do what you said and I just breathe. I know that he left for a reason and I'm probably better off without. Now I can move on with my life and take the risks I could never take before when he was there.